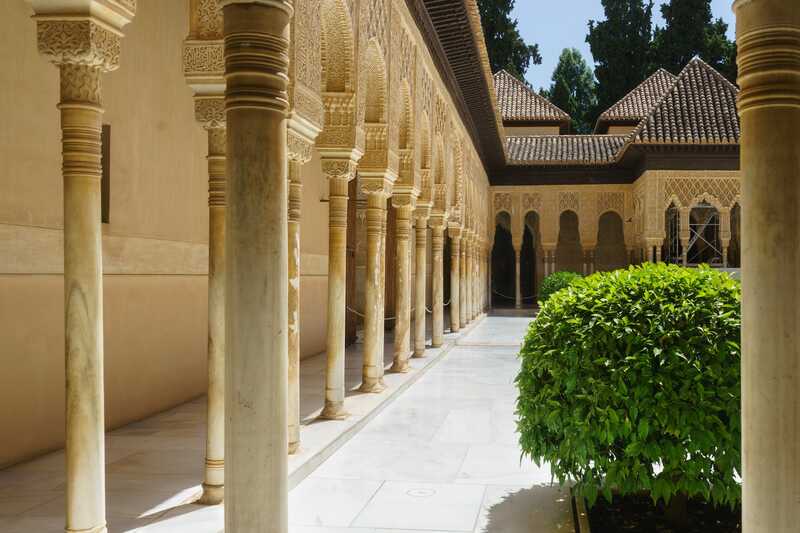 Described by poets as “a pearl set in emeralds”, the Alhambra is a breathtaking palace from a bygone era. But its magic remains very much alive. 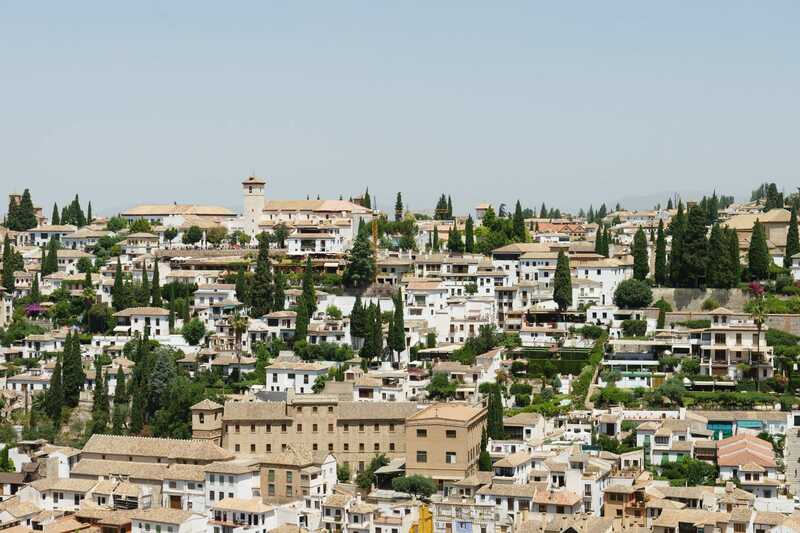 Standing proud atop the mountains of Granada — Andalusia, southern Spain — the Alhambra has silently watched over the city for almost seven hundred years. Inscribed as a UNESCO World Heritage Site in 1994, it has inspired thousands of poems, songs, legends, and myths across generations. The Alhambra is a Moorish palace and its construction dates back to the 14th century, during the reign of Yusuf I and, later, Muhammed V, Sultan of Granada. 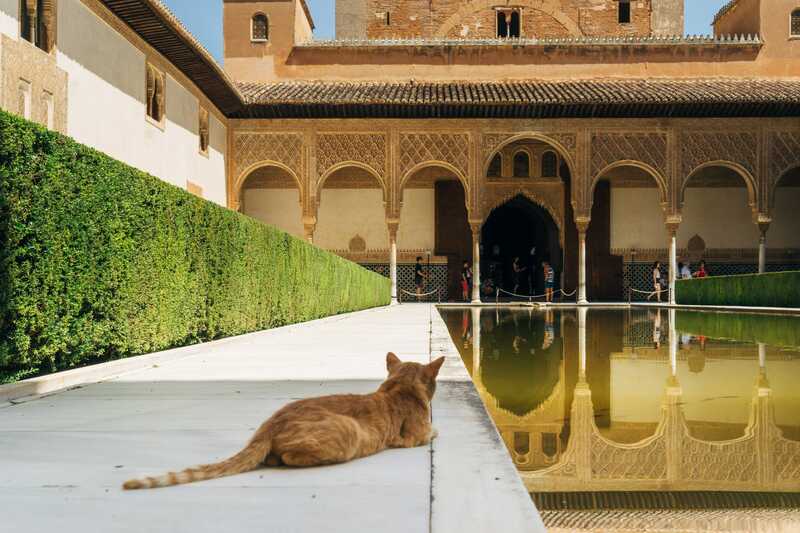 Its name means “the red one (female)”, and it is a key historical site and a symbol of the dwindling power of the Nasrid Dynasty, whose demise marked the end of the Muslim rule of Al-Andalus. 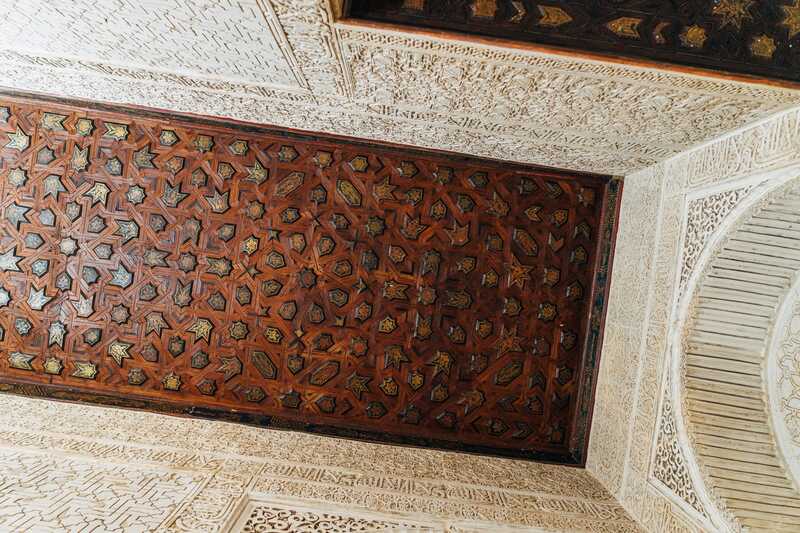 As breathtakingly beautiful as it is, though, the Alhambra’s history is a rather tragic one. 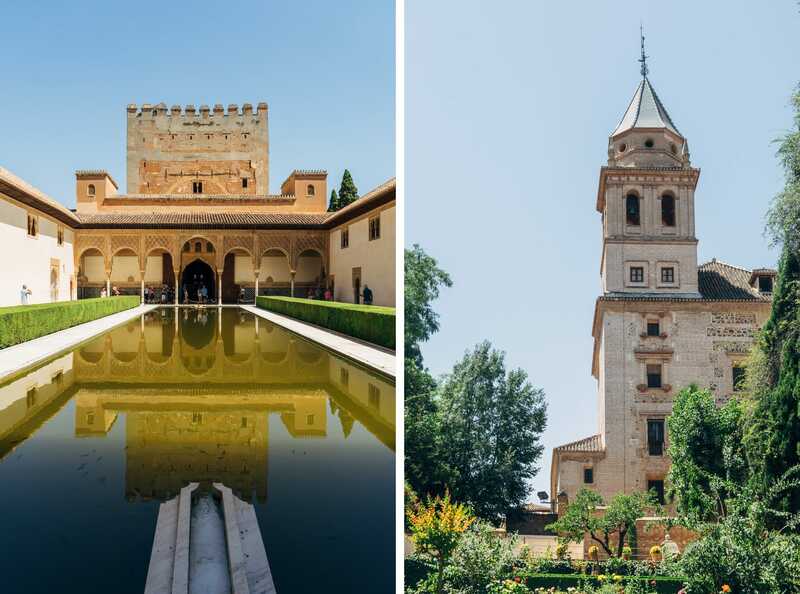 During the Spanish Reconquista, a period spanning centuries during which Christians seized control of Al-Andalus from Muslims, the Alhambra became a refuge for artists and intellectuals. 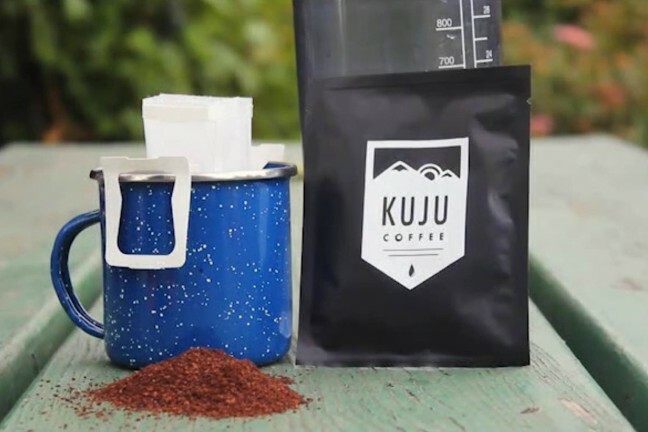 Such a diverse and rich community created a uniquely creative environment, and its influence can still be felt throughout the site today. 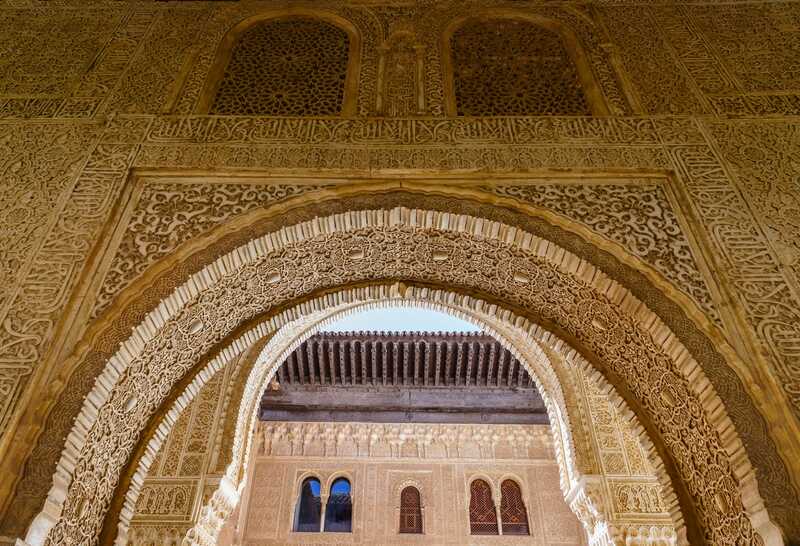 During the later stages of the Spanish Reconquista, the Alhambra became a refuge for artists and intellectuals. 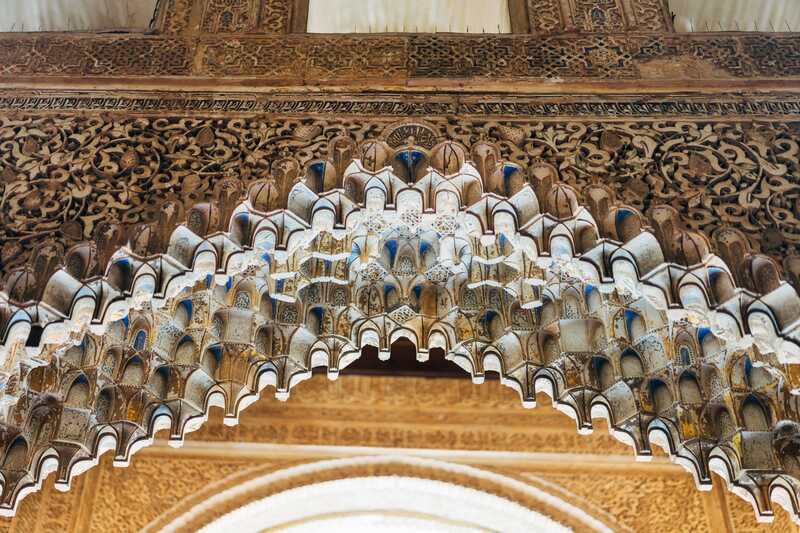 Once the period ended in 1492 with the Christian conquest of Granada, many of the Alhambra’s features were altered, whitewashed, or even destroyed. 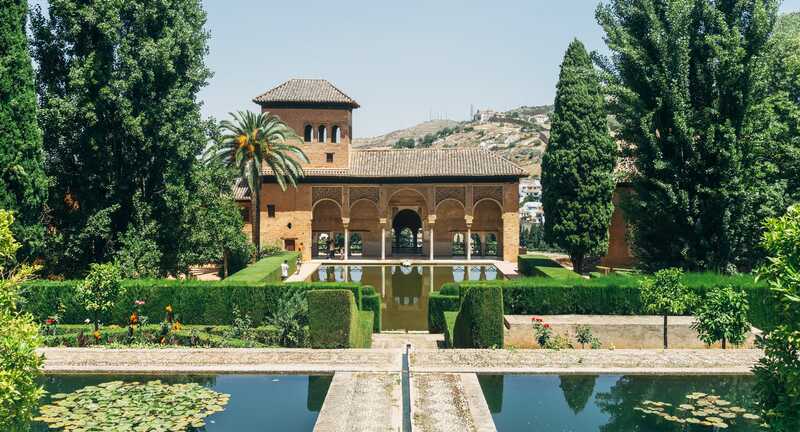 For centuries, the palace was re-styled and its structure modified to please the Spanish royalty of the time, with Renaissance-style structures and embellishments replacing the traditional Moorish architecture. 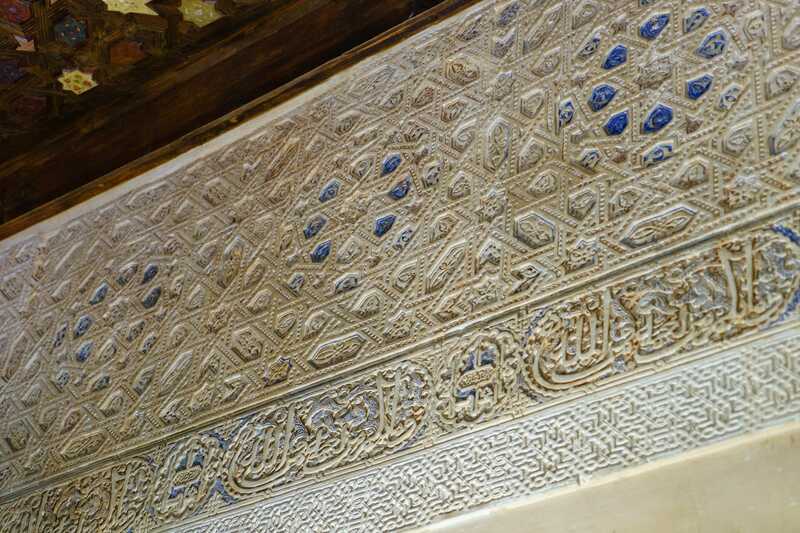 It wasn’t until 1828 that restoration work commenced on the Alhambra, led by Spanish architect José Contreras and carried on by his son and grandson. In the 1930’s, Leopoldo Torres Balbás made great strides in the restoration work, recovering many abandoned structures. Work has continued steadily since then. 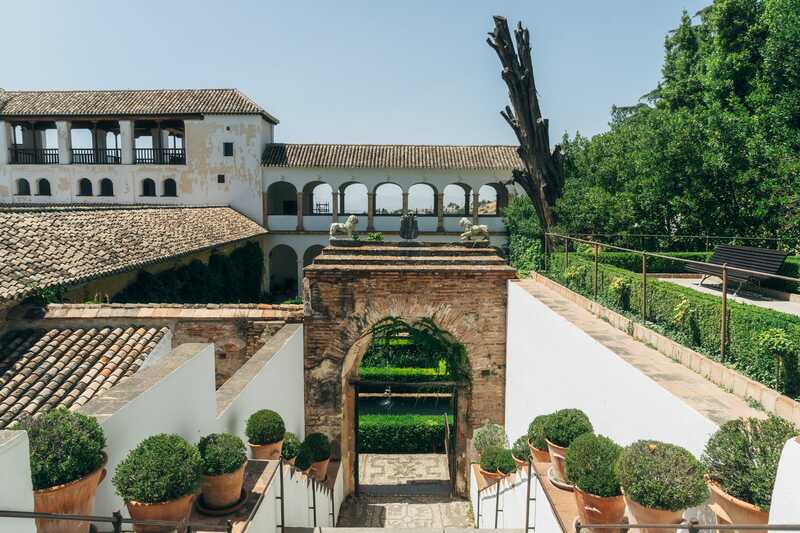 Today, work is led by the Alhambra’s current architect, Pedro Salmerón Escobar. 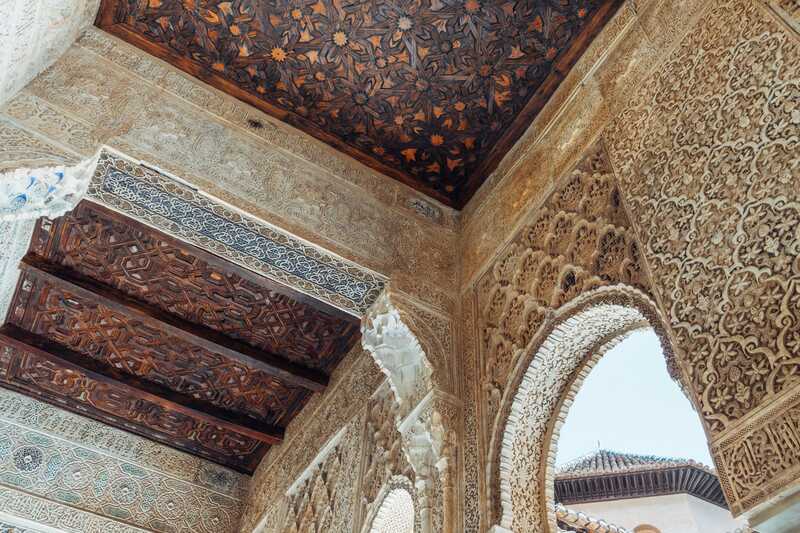 It is a testament to the Alhambra’s endurance and sheer scale that so many of its impressive features remain, despite being so abused and mistreated for so long. Walking on the site today is enough to move even the most steeled of individuals, because unlike most modern architecture, there’s something unique and organic about the Alhambra. The way nature and buildings coexist — immense gardens and palaces that seem to sprout out of the mountain — so seamlessly, one can’t help but admire the amazing vision of its creators. The Alhambra is unique in that there’s something organic about its architecture. This can be felt in the way nature and buildings coexist and seamlessly blend with each other. 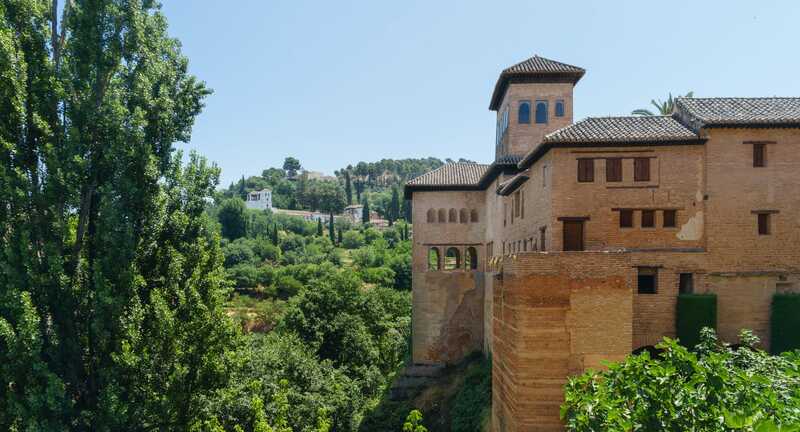 Like many strongholds of the time, the Alhambra is arranged in three separate areas: a castle, a palace, and a residential area. The Alcazaba — or citadel — is the oldest and also the worst kept, with just the outer walls and towers standing. Beyond the Alcazaba is the area known as the Nasrid Palaces, which is what most people actually mean today when referring to the Alhambra. 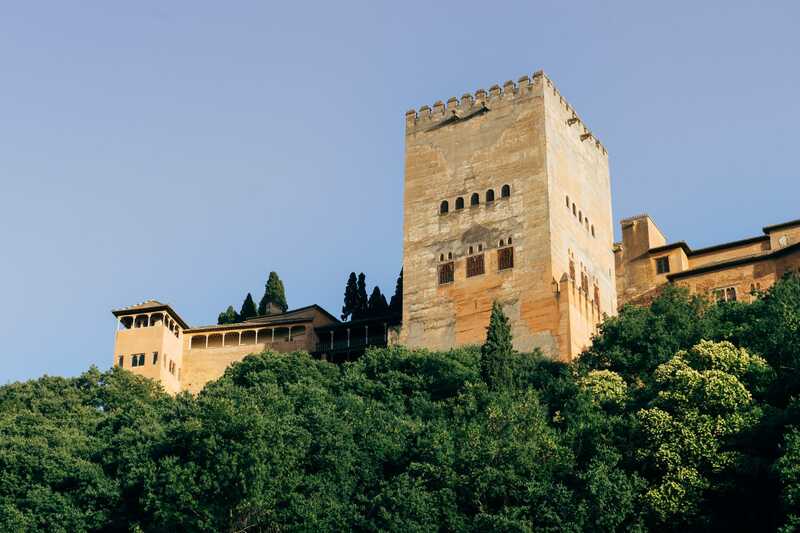 Finally, the Alhambra Alta or Upper Alhambra was the place of residence for officials and courtiers. 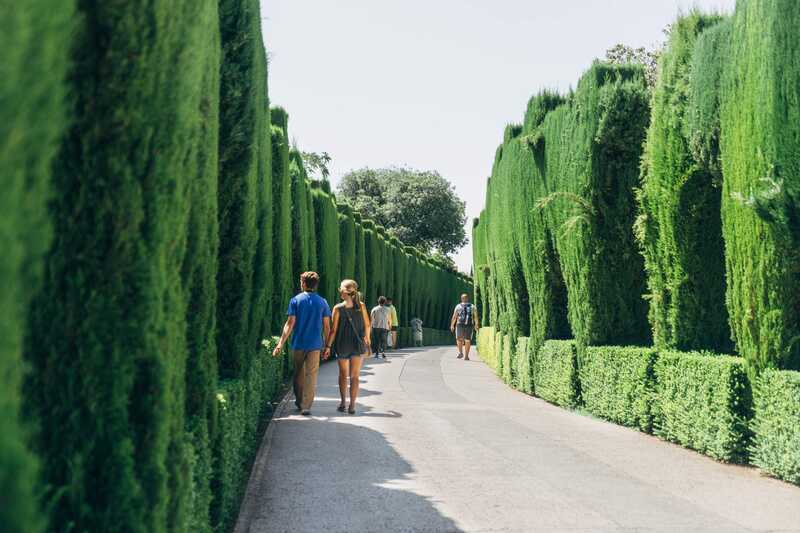 If you visit the Alhambra, you should spend a good chunk of the day walking around the site. However, a visit to the Nasrid Palaces is obligatory. This is where most of the surviving Moorish architecture remains. One common feature throughout the Palaces is the abundance of water, be it in the form of streams or, more frequently, pools. These pools are not only there as ornaments, but as integral parts of the Palaces. The Moorish used the reflection of the palaces on the water in order to make them seem even more colossal. This was a source of great pride for them. As they used to say: “Anyone can build a castle on the ground, but only the Moorish can build castles on water”. 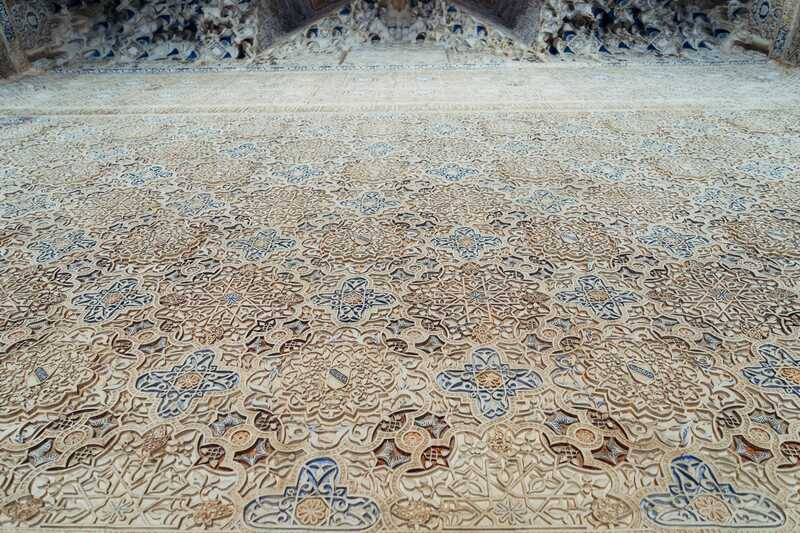 This optical illusion is most noticeable in the Court of the Myrtles, but it is used to great effect all over the Alhambra. The Court of the Myrtles (left) showcases the way the Moorish used optical illusions to build castles on water. 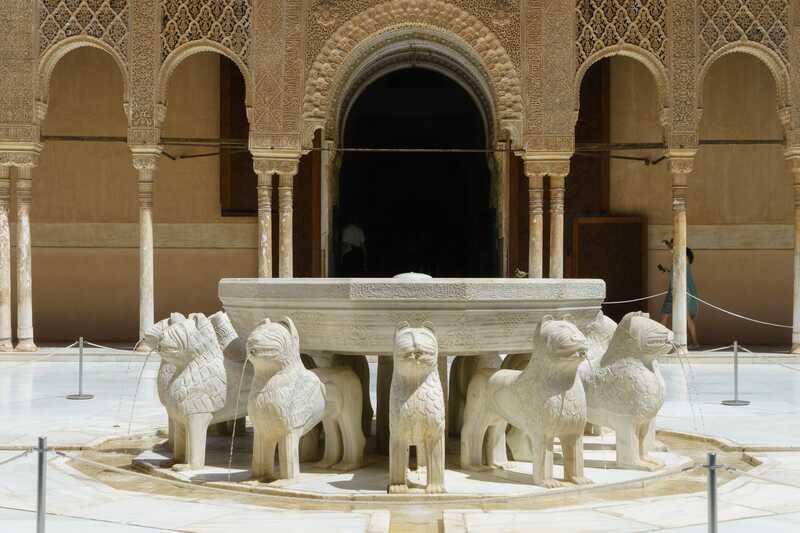 However, my favorite place within the Nasrid Palaces — and indeed, all of the Alhambra — is by far the Court of the Lions. 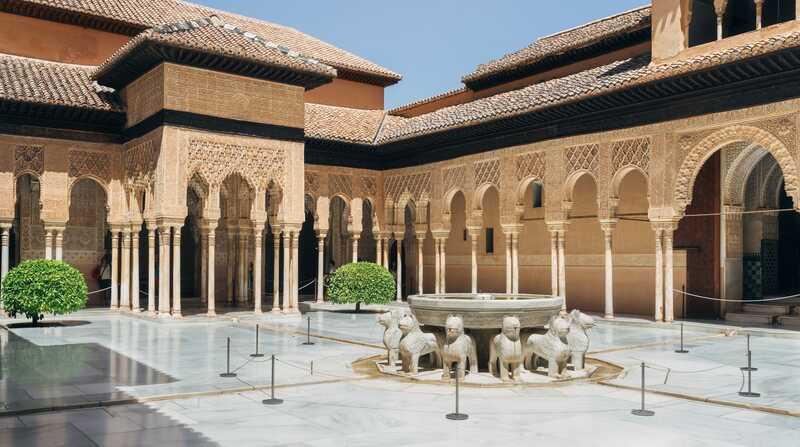 It is the main courtyard in the Palace of the Lions, right in the heart of the Alhambra, and it features a unique blend of Moorish and Christian influences. The Court of the Lions is my favorite part of the Alhambra, and features a unique blend of Moorish and Christian influences. The courtyard is surrounded by an impressive gallery supported by 124 white marble columns. At its center resides the famous Fountain of Lions, a round basin surrounded by the figures of 12 lions sculpted in white marble. The intricacy of the details on the surrounding arches and walls is simply insane, and the court’s considerable size makes it all the more stunning. If I close my eyes, I can almost see Indiana Jones scrambling all over the place to solve some sort of riddle just in the nick of time. This is the stuff dreams are made of. 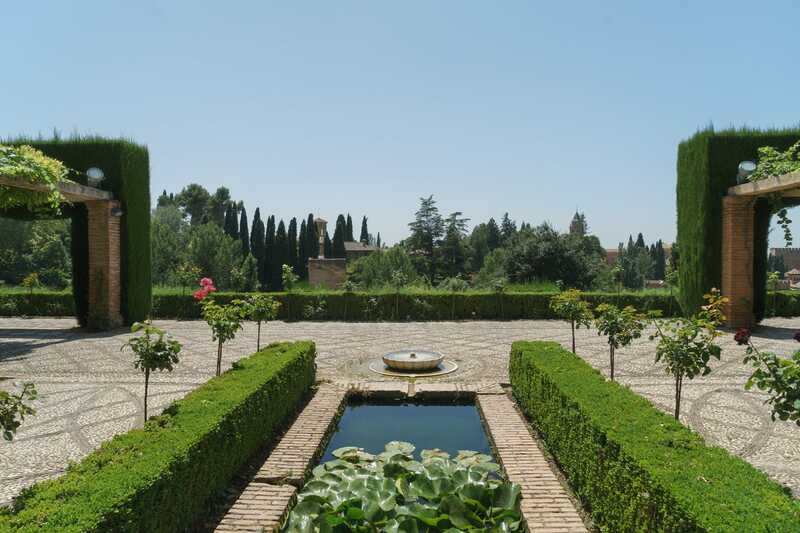 Finally, another amazing part of the Alhambra is the Palace of Generalife — literally, “Architect’s Garden”. 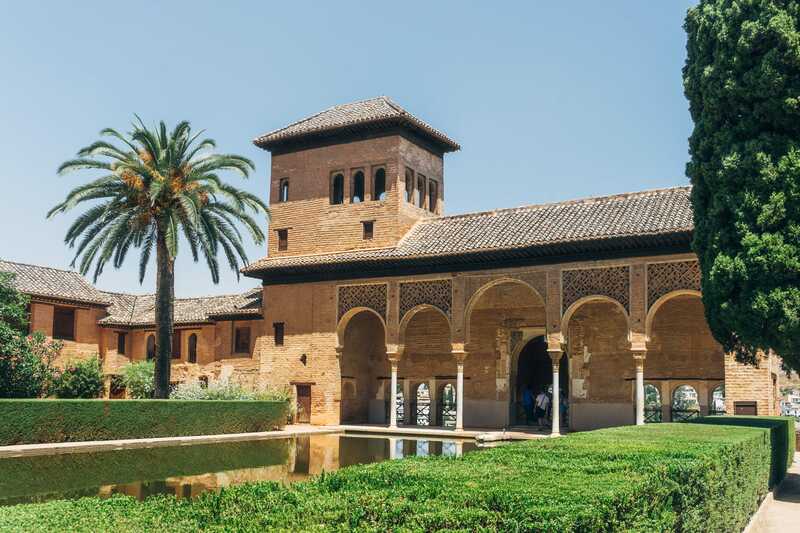 This was the summer residence of the Nasrid Emirs, and it is dominated by the Patio de la Acequia, or Water-Garden Courtyard. 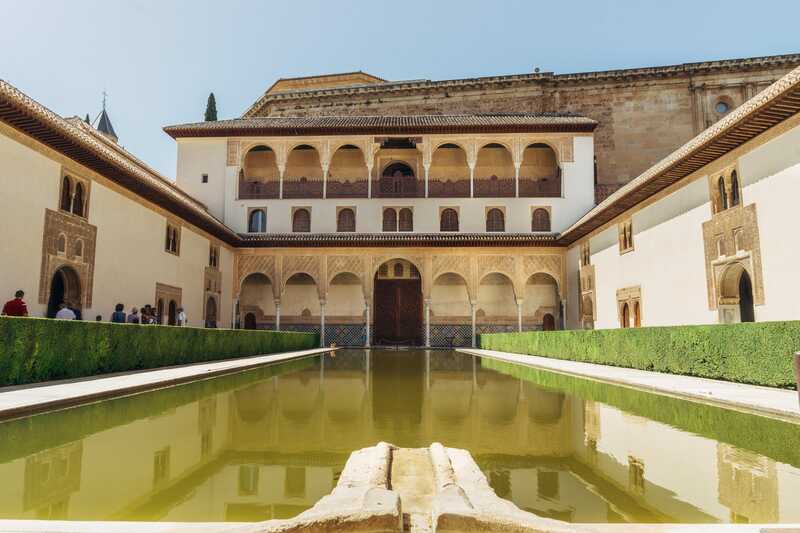 This courtyard consists of a long pool framed by flowerbeds and fountains, and it is a testament to the engineering prowess of the Moorish at the time. Around the palace, a vast, seemingly endless garden completes the scene, filling it with color and energy. It is a place so delicate, and so in tune with nature, that it feels natural and man-made at the same time — as hard as that may be to believe. 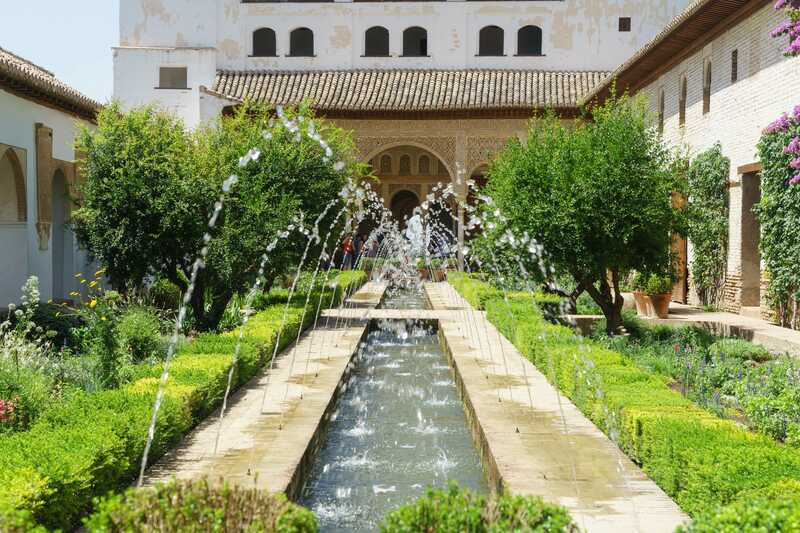 The fountains of Patio de la Acequia (Water-Garden Courtyard) are a testament to the engineering prowess of the Moorish at the time. 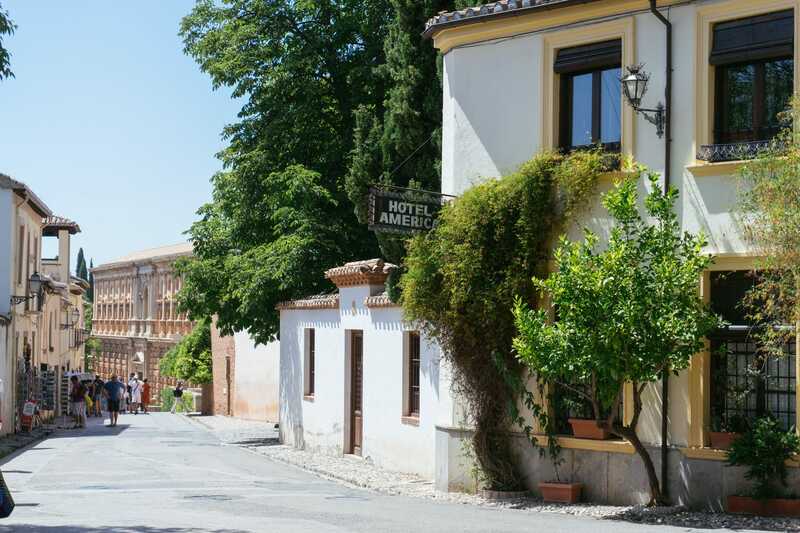 The Alhambra is a place for dreamers and poets. 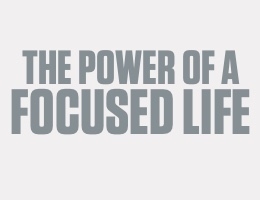 It is a place where inspiration runs rampant and magic feels real. 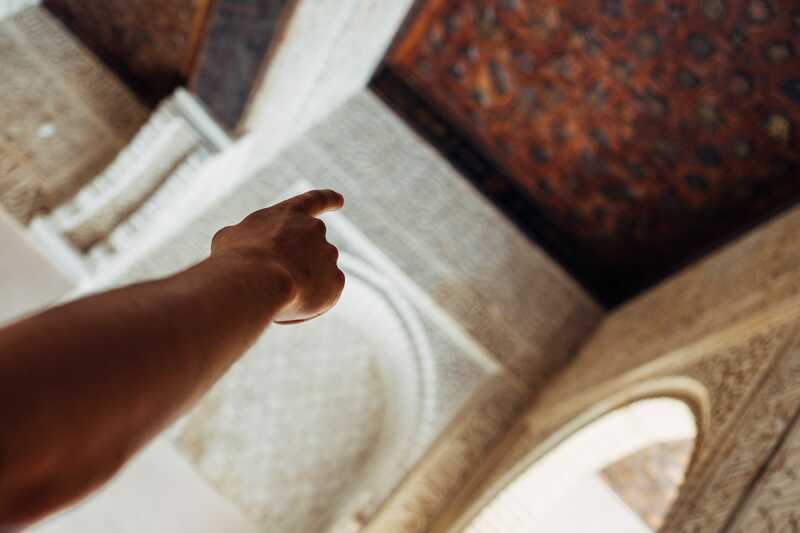 Everything about it, including the impossibly intricate details on its walls, the way natural elements surround and enhance man-made structures, and the unique use of both geometry and color, makes the Alhambra a place like no other. A pearl set in emeralds, indeed. The contrast of the red clay used to build the Alhambra and the deep greens of the surrounding forest has moved many poets to describe the Alhambra as “a pearl set in emeralds”. 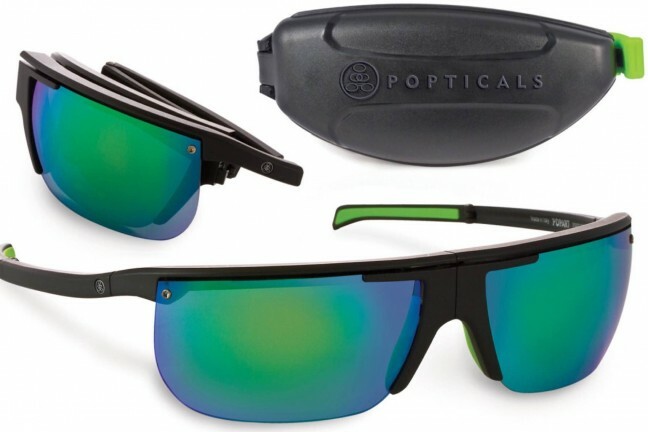 Lenses: Sony Zeiss FE 24-70mm F4 + Sony Zeiss FE 55mm F1.8. Bag: Think Tank Retrospective 5.